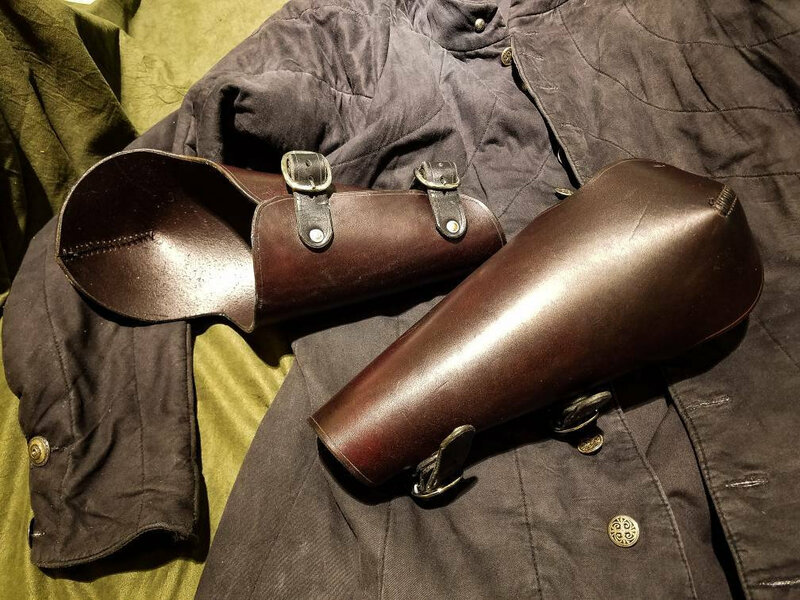 This listing is for a set of lower arm armor with integrated elbow armor, called "bazuband"
You have the option of 1 or 2 layers. 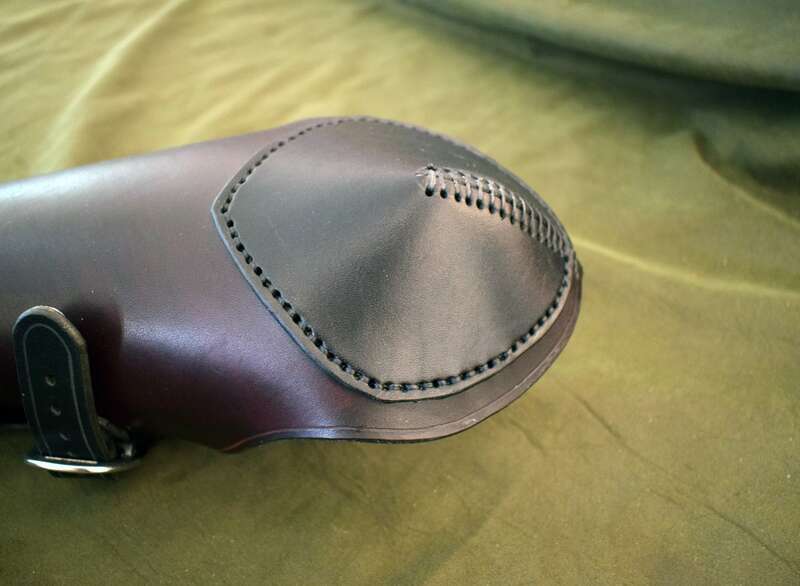 The 2 layer option has an overlay stitched onto the elbow section for added protection. 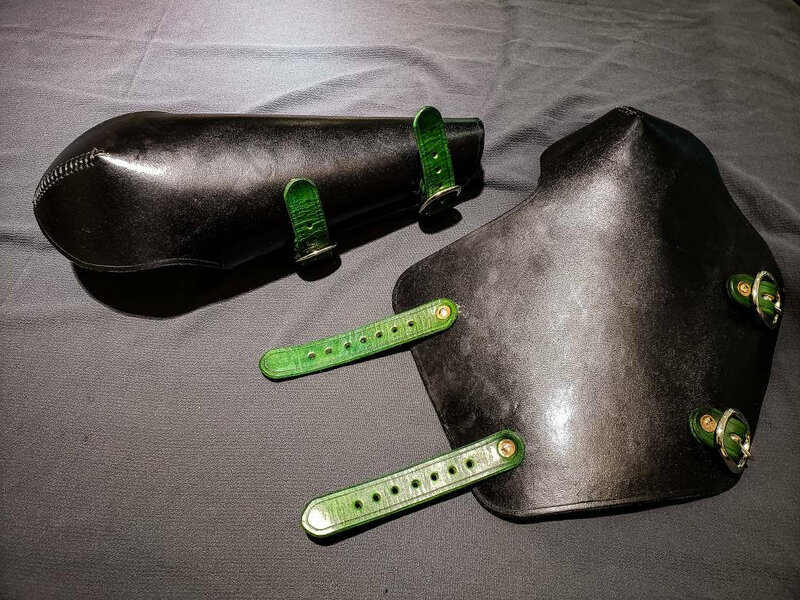 They are closed via two buckled straps, and can be impregnated with wax to make them much tougher, which makes them legal armor for heavy combat in many martial arts groups. The wax impregnation does darken the leather, so bear that in mind when ordering. 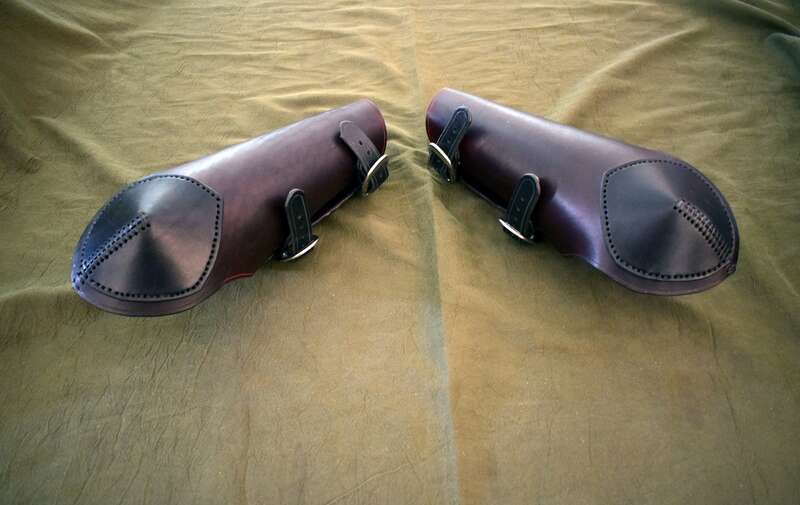 As an example, the burgundy vambraces in the photos are the same pair, before and after being waxed. 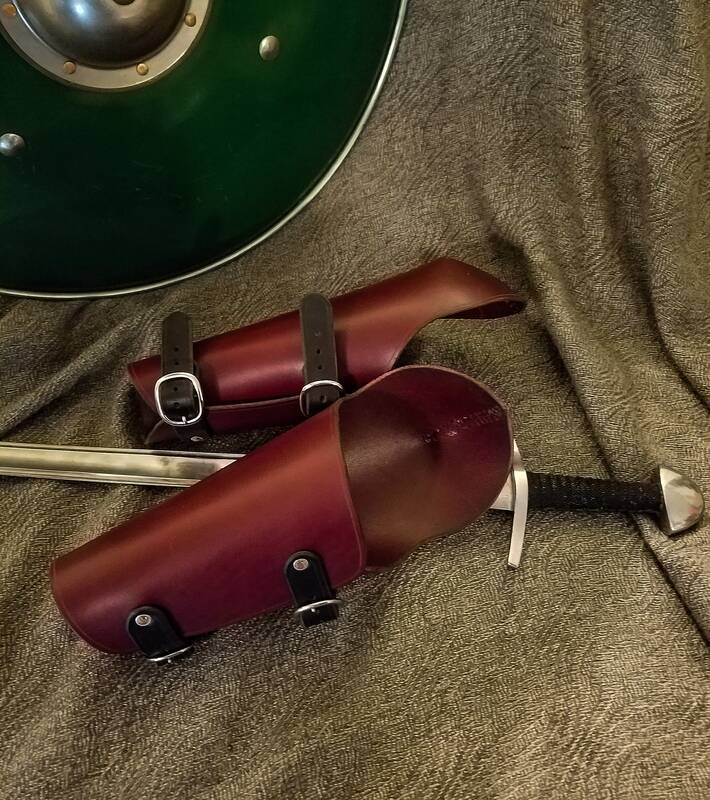 The straps and overlay will generally be made of the same color leather as the main body of the armor, if you'd like contrasting straps, let me know and I'll set it up for you at no extra charge. 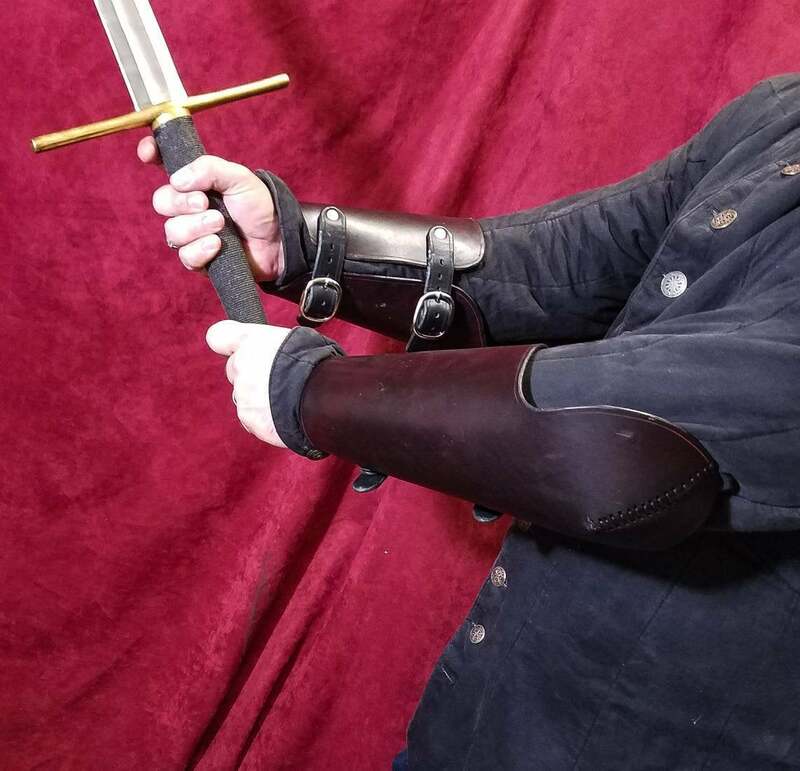 When ordering, include a measurement of the length of your arm from your wrist to your elbow, as well as the circumference of your arm at both ends of the length measurement. As always, customization is available. Feel free to message me for details.